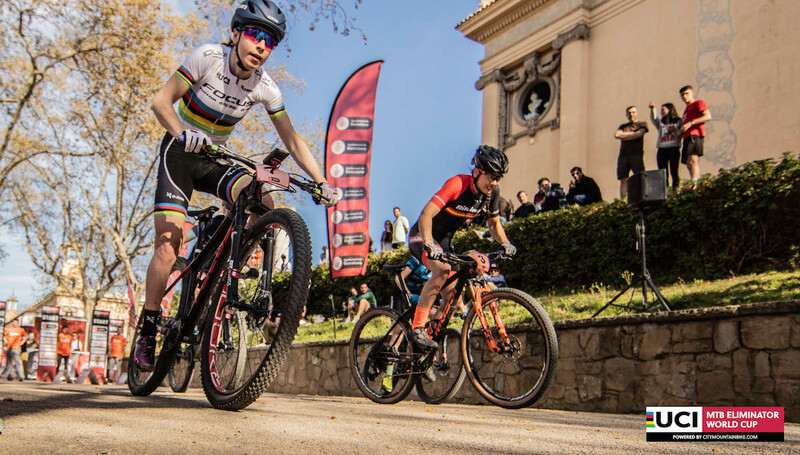 The 2019 season of the UCI MTB Eliminator World Cup opened on Saturday in Barcelona, Spain. Germany’s Marion Fromberger and Dutch champion Jeroen van Eck were awarded the first leader’s jerseys. 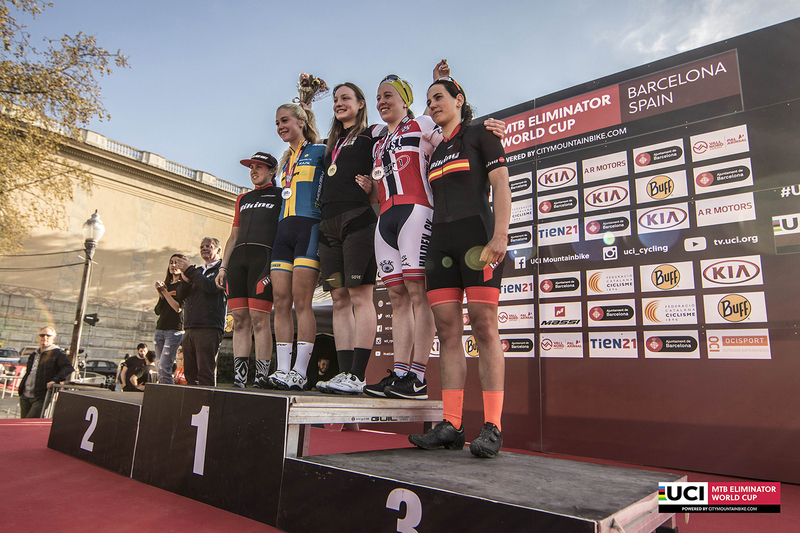 Start and finish was held at Park of Montjuic on a very entertaining race course. 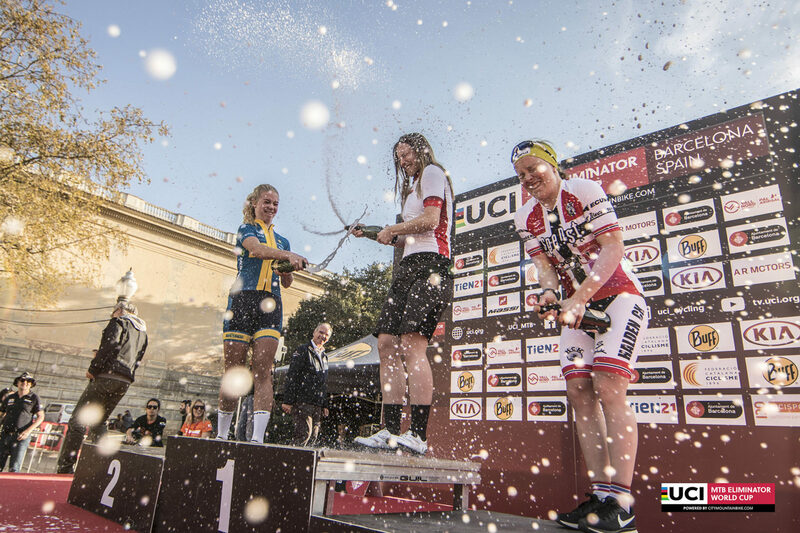 Marion Fromberger and Jeroen van Eck win first UCI MTB Eliminator World Cup in Barcelona, Spain. 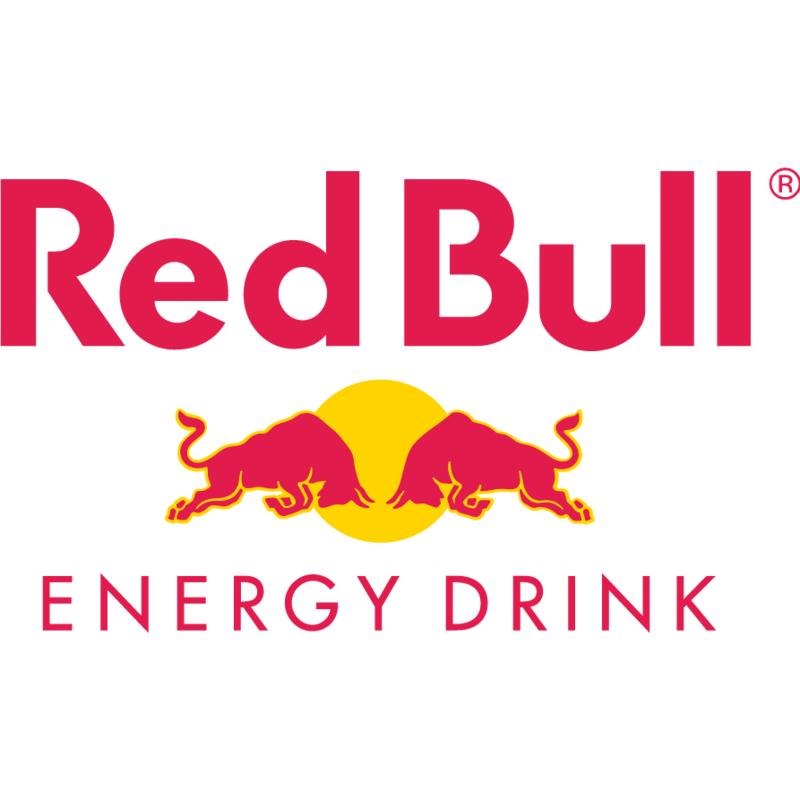 Jeroen van Eck sets fastest time during qualifying and placed himself well for the heats. The Dutchman was the strongest and left Spain’s Alberto Mingorance behind. 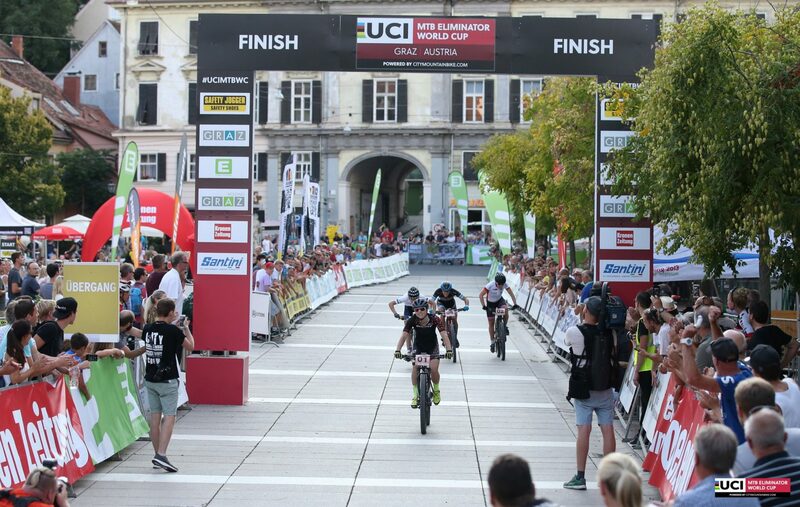 Felix Klausmann crossed the line as third ahead of UCI World Champion Titouan Perrin-Ganier. 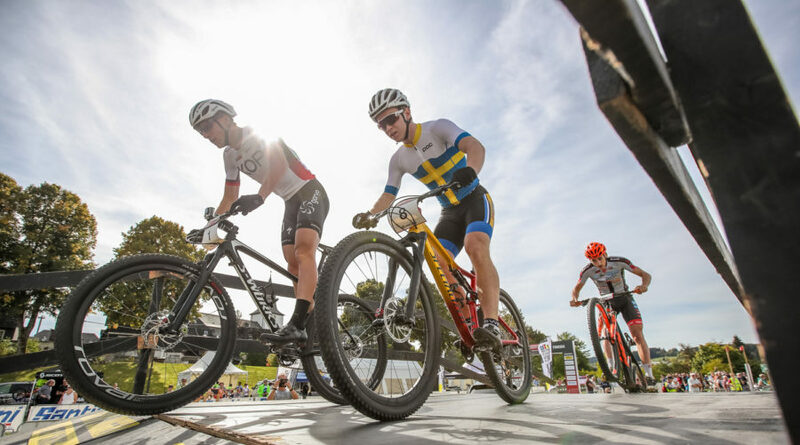 After winning last year’s opening round in Columbus/GA, Jeroen van Eck now becomes the first leader of the 2019 UCI MTB Eliminator World Cup. 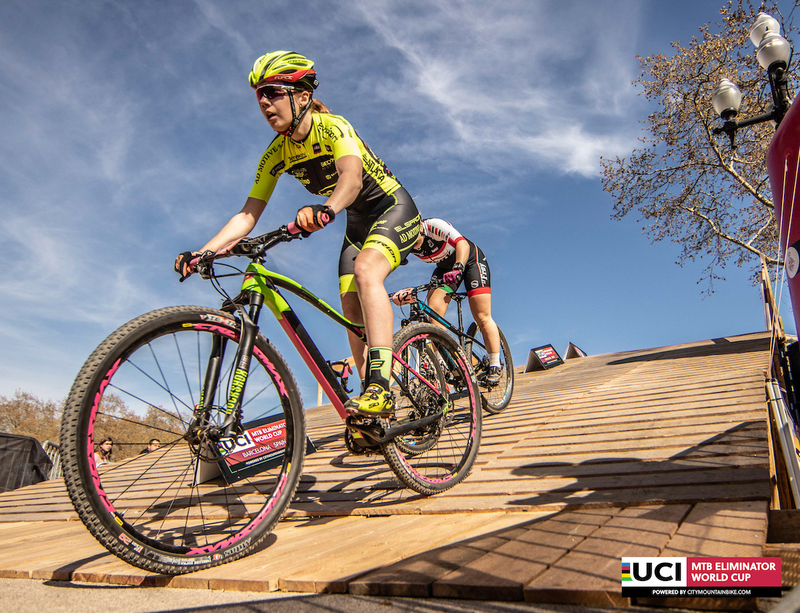 In the women’s competition, Marion Fromberger, last year’s bronze medallist at the UCI Urban Worlds in Chengdu remained strong throughout the qualification runs to take victory in front of Swedish champion Ella Holmegard and last year’s overall World Cup winner, Norway’s Ingrid Boe Jacobsen. Spain’s champion Magdalena Duran Garcia came away with the victory in the small finals for place 5. As the riders make it to the Kia corner, Marion Fromberger took over the pace from Ingrid Boe Jacobsen. The Norwegian was forced to chase to close the gap. The pace remained high throughout the second lap with Marion Fromberger hitting the front again at the start of the second lap. On the grass section, Sweden’s Ella Holmegard moved up front but couldn’t hold Marion Fromberger’s wheel. Ella Holmegard came up just short in the final meters, finished in second place ahead of Ingrid Boe Jacobsen. Fourth place went to Sara Gay Moreno from Spain. The start didn’t go smoothly for last year’s overall runner-up, Simon Gegenheimer. A bad start forced him to chase. Gegenheimer didn’t make it to the quarter-finals. 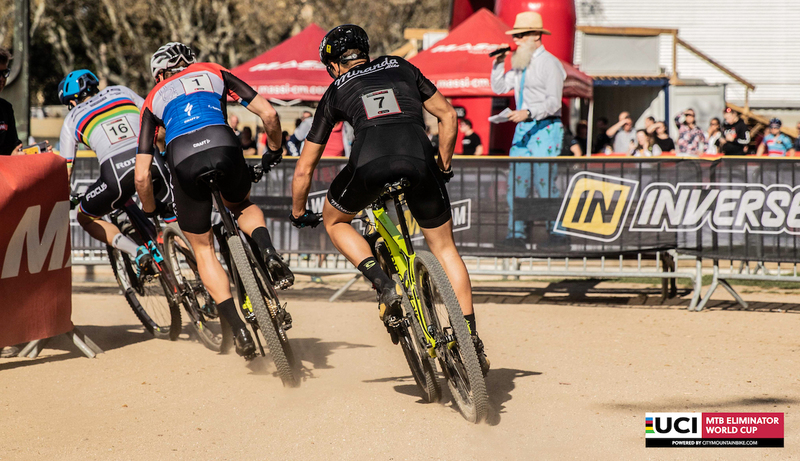 Germany’s Felix Klausmann grabbed the lead ahead of the gravel section in the first lap, followed by UCI World Champion Titouan Perrin-Ganier. Going into the second lap, Alberto Mingorance and Jeroen van Eck moved up to the front to set the pace. Jeroen van Eck hung back in second until the long grass section before the final corner, when he accelerated into the lead. “The hard work during the winter, a lot of interval sessions, all for this perfect start in the new season! I felt really good today, although I still need to improve my starts. 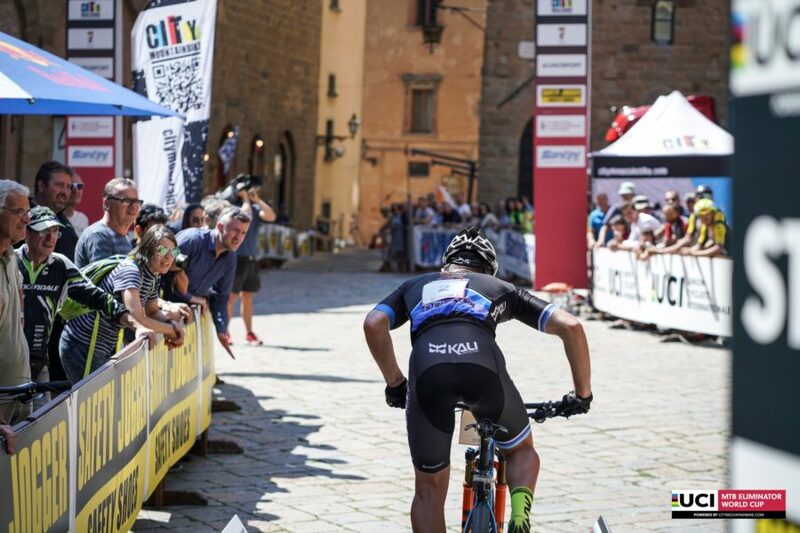 The race course was quite fast, I really liked the gravel part,” said Jeroen van Eck afterwards. Jeroen van Eck leads the men’s standings with 60 points, followed Alberto Mingorance at 40 points. Felix Klausmann, outsider of the day sits third with 30 points. in the women’s competition, Marion Fromberger leads with 60 points while Ella Holmegard is second with 40 points. Ingrid Boe Jacobsen is third with 30 points. The next World Cup will be held on Friday, May 31 ‘Le Balcon – Côte 2000’ in the mountainous region of Villard-de-Lans in France.